In the present world a lot of conflicts are going on. Because of this a lot of people flee their current countries. They arrive in other countries where the infrastructure is not prepared for the large numbers of refugees. Often there are no suitable housing solution to provide humane housing for the refugees. 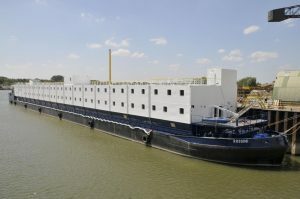 Chevalier Floatels has developed a quick and well laid out solution to accommodate these refugees. 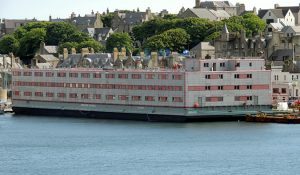 The floating hotels of Chevalier are all equipped with a large number of rooms that can be quickly adapted to refugee accommodations. All cabins are connected to bathrooms. 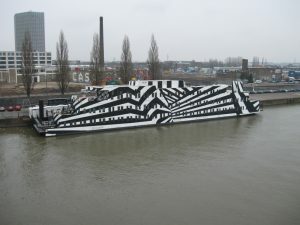 All the barges are prepared for Wifi and have TV connection in all the rooms. The centers have large restaurants and recreational areas. Also there is areas for language courses. The barges also feature large laundries which could easily be converted in to laundromats. As the units are on standby they can be quickly mobilized to whatever area that is confronted with a large influx of refugees. Kalmar, a 220 room facility suited for up to 680 refugees. Rossini, a 110 room facility suited for up to 440 refugees and especially build for extreme environments with an operational weather range from -36 degrees to + 40 degrees.